Make traveling with us YOUR Advantage! Our experienced drivers take you and your group where you need to go quickly, safely, and in total comfort. We customize our corporate travel and service options to meet your needs & exceed your expectations. We arrange multi-passenger vans for group trips, organize timing for luggage, and make all seating arrangements before departure, making your travel headaches disappear! 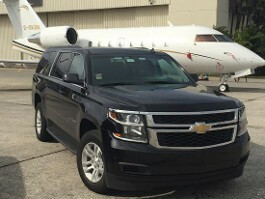 Advantage Chauffeur Services in Macungie, PA, provides the convenience of point-to-point travel and a chauffeur service to multiple desired locations throughout Pennsylvania, New Jersey & New York City. Thank you for your interest. For questions or quotes, please email us at info@chauffeurservices.com. We look forward to hearing from you soon. Arrive to your destination on time and in total comfort with Advantage Chauffeur Services in Macungie, PA, your source for executive transportation in Macungie, Pennsylvania. From our VIP limousine services to our sightseeing tours led by the best drivers in the trade, we are fully dedicated to meeting and exceeding your expectations. Advantage has your New York City experts! Our drivers know each corner of Manhattan and make sightseeing tours easy and fun! No parking, No tickets, No traffic hassles! Just jump in and out of the vehicle for each attraction you wish to visit. Your driver is always within reach for complete door-door service all day long! Our locally owned and operated company offers a level of personalized service you won't find anywhere else. 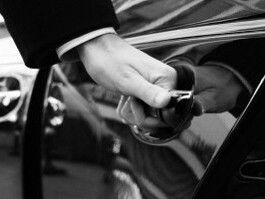 Our chauffeurs and staff are fully trained to execute the level of care required to ensure your experience is both pleasant and impressive. Safety is our main concern, and we pride ourselves on our commitment to our clients. All drivers are vetted and certified through the National Safety Council for Defensive Driving and have AAA™ memberships. Cellular phones are carried for any unexpected delays or emergencies. We are DOT and PUC Certified. Our agency is fully bonded and insured.